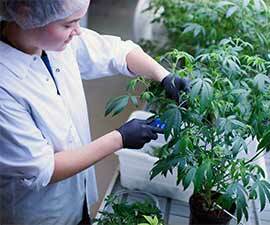 As the medical marijuana industry continues to grow at lightning speed, its surrounding government regulations are evolving in unexpected, unprecedented ways. It’s a combination that makes for innumerable diverse challenges for cannabis producers, especially while rapidly scaling up operations. That’s why in 2014, John Prentice created Ample Organics — the most comprehensive seed-to-sale software created specifically for marijuana producers. Leveraging the strongest modern software and hardware platforms, Ample Organics provides a truly holistic ERP solution for every aspect of cannabis production: complete tracking of every single plant through cultivation and harvest, including waste logging; detailed client database management; integrated e-commerce with a customizable web store; inventory-aware order fulfillment; simple oneclick reporting; and much more. Clinic networks, patient referral organizations and sales representatives have also been factored into the Ample Organics ecosystem. Those methods of patient acquisition have become increasingly important as the competitive landscape broadens. 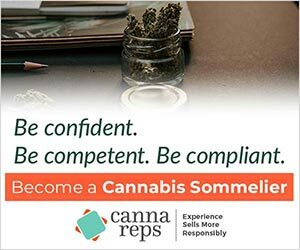 Ample Organics’ ability to link new client accounts with referral sources has allowed Licensed Producers to boost client registrations significantly. Perhaps the most important component of Ample Organics, especially in regards to compliance, is the cultivation management module, which uses a barcode scanning system to track every single plant from seed to harvest, and log every event and interaction in the life of each crop. Using that data, Ample Organics is also able to provide an overview of production times, expected yields and other enhanced reporting features. Prentice is excited about the future of Ample Organics. “Over the coming years, the way this industry works will change at a fundamental level,” says Prentice. That’s why he believes that a customizable industry platform, built specifically for medical marijuana businesses, is the key to scaling effectively, growing efficiently, and maintaining regulatory compliance, however those regulations evolve.